Every dog in his house has worn a Seresto collar. 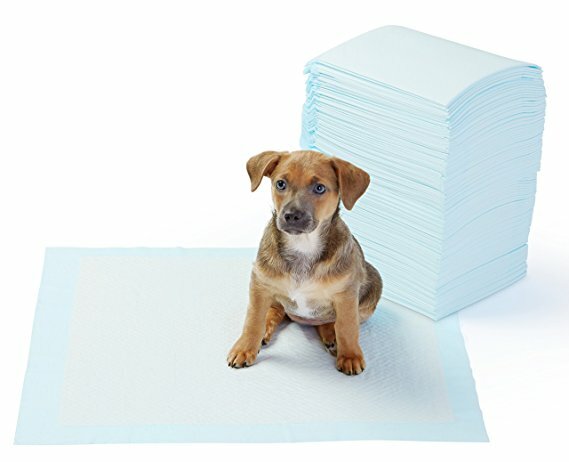 They are an easy, and maintenance-free way to prevent fleas and ticks. Here are answers to some of the most common questions about Seresto collars for dogs. How tight should I fasten the Seresto collar around my dogs neck? According to the product manual, the Seresto collar should be tightened firmly enough so that the loose end of the collar pulls through the clasp at the end, and you should be able to fit two fingers between the collar and neck. Can I bathe my dog while they are wearing a Seresto collar? Yes. The Seresto collar is designed to be worn during bathing and still achieve 8 months of prevention. However, the efficacy of the collar will be reduced when dogs are shampoo-bathed or go swimming more than once a month. Are the chemicals in the Seresto collar safe to use around the house? The pesticides used in the Seresto collar are safe to use in the household. Special precautions should be taken when the collar is used in the same household as children. Do not allow small children to play with the collar or reflectors. Avoid contact with eyes, skin, and clothing. Wash hands with soap and water after fitting the collar. The collar must not be used on animals other than dogs. Scratching or mild coat loss may occur after a new application of a collar. What pesticides are found in the Seresto collar? The active ingredients in the Seresto collar are Flumthrin, and Imidacloprid. Read more at this blog post about these ingredients and those found in other flea and tick collars. Must I attach the reflectors to the Seresto collar? No, it is not mandatory to attach the reflectors to the Seresto collar. Attaching them to the Seresto collar will help increase visibility at night if you dog goes outside. To ensure safety, they must be installed according to the package insert. Is the Seresto collar a choking hazard for my dog? When fitted according to the instructions in the packaging insert, the Seresto collar is safe to leave on your dog. It features a ‘break away’ design that will loosen the collar if it becomes entangled. Are the active ingredients in the Seresto collar different from other brands? Manufacturers of several brands of flea and tick collars use a combination of several pesticides. Find out which brands use a mix of which chemicals by reading this article. Where is the best place to buy a Seresto collar for my dog? Seresto collars are available at most major pet stores and are often in a large display. Amazon keeps Seresto collars in-stock year round, and you can elect to add them to a subscription so new collars will automatically ship when it is time to replace it. What size Seresto collar should I buy for my dog? Seresto collars are available in two sizes; for large and small dogs. Dogs under 18 pounds should wear the Small size, and dogs 18 pounds and over should wear the Large size Seresto collar. What company manufactures the Seresto collar? BayerDVM is the veterinary-focus subsidiary of pharmaceutical manufacture Bayer Health that produces the Seresto collar. This entry was posted in grooming, safety, Uncategorized on March 31, 2019 by dexterkelly.